We registered Whitewater Adventures Nepal in Australia in 2007 and began mainly running whitewater rafting and kayaking trips throughout Nepal. As we grew every year we started to run more activities in Nepal and we decided to register a trekking and rafting company in Nepal. 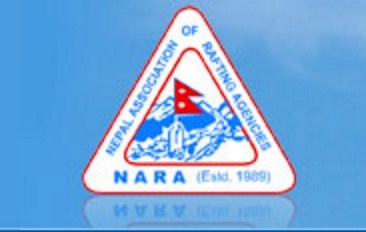 In 2012, we registered Gotrek Adventure Nepal. We have now brought these three amazing companies together under the umbrella of Adventure Hub Nepal. Adventure Hub Nepal is an adventure based company owned and operated by Ram Bhandari and myself, Georgia Bhandari. Ram is Nepalese and has been working in the tourism and guiding industry for over 22 years and has a wealth of knowledge across all facets of adventure and ecotourism. Building on my extensive experience guiding in the adventure and outdoor education field around the world, together we have built this family owned company to cater for the ever-changing expectations of the adventure traveller. We offer a variety of trips to people of all ages and abilities. Trekking, (Everest & Annapurna regions), whitewater kayaking, rafting, mountain biking, stand up paddle boarding, community work, family trips, yoga, meditation retreats, school trips and many more. We can tailor our trips to suit your needs any time of year. We offer these sorts of adventure holidays to give people an avenue to escape everyday life and immerse themselves in the majestic wonders of Nepal. When you plan your holiday with Adventure Hub Nepal (AHN) you are guaranteed an experience full of adventure and excitement, challenge and discovery as well as relaxation, reflection and of course lots of fun. Adventure Hub Nepal employ predominately Nepalese staff and we pride ourselves on looking after our staff and ensuring they are well supported and encouraged. In terms of safety we are one of the few companies that take a satellite phone of every trip and carry a comprehensive first aid kit. All of the staff at AHN are qualified in first aid and river rescue. The trips we run are of the highest quality. This means excellent food, great service, five-star safety standards and top-quality equipment. Compared to other tourist operators Adventure Hub Nepal’s standards of service are above and beyond every time. For our team at AHN nothing is impossible. We can create you and your friends or family the trip of a lifetime to any destination in Nepal and Tibet. Everything will be organised for you right down to your airport pick up drop off. Nepal is a fantastic place to do Outdoor Education and family trips and we are well researched on the best places to go in for these specific types of trips. Nepal is considered a very safe country to travel in with warm open-hearted people. We are very proud to have set up the Sharmila foundation which is a charity that primarily looks after families and women in need of psychological support in less fortunate areas. The fund also has helped many communities in Nepal rebuild schools and homes after the devastating earthquake back in 2015. Many of our clients have been touched by this and have returned to do charity work with us. Nepal has more to offer than you could ever imagine. The majestic Himalaya mountains, rivers, incredible people, culture and food, Nepal has it all. It’s just something you have to experience for yourself. We look forward to seeing you in Nepal.